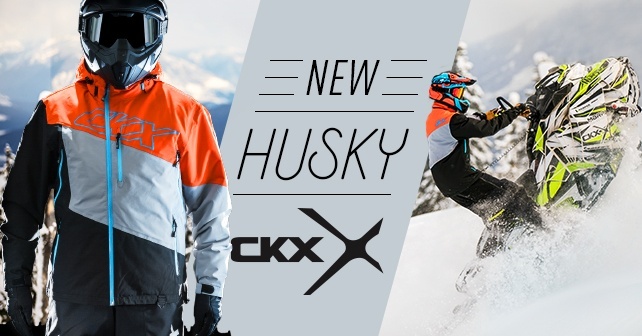 You will be thrilled to rediscover the versatility of the 3 in 1 Husky jacket in a whole new range of colours. The Husky has 2 jackets which can be worn separately or layered for different levels of warmth. Designed as a multi-layering system, the jacket can be adapted based on physical effort and the desired warmth level. So first we have a lining which is the intermediate layer acting as an insulator. Worn alone, the liner is ideal for the changing seasons. Worn beneath the jacket, it provides a 120g Thermoshield liner which adds to the outer shell’s insulation. For the bitter cold and long trail rides, the combination of the 2 layers is ideal. For afternoons when the temperature warms up or if there is an increased intensity of physical activity, just put the lining in its pouch and slide it into your backpack. Then you have the outer shell, which is made of a fabric with a membrane aimed at acting as a soft and light shield. It is a breathing protection, meaning it prevents water, snow and wind from getting through; but it will also enable body moisture to be wicked away. Insulation is minimal at 60g, allowing some activity without getting too warm. The Husky jacket is also available in the Zero insulation line. Please note that there is no outer shell insulation at all in the Zero insulation line. The only protection is against water, wind and snow. Zero insulation is more suitable for warmer temperatures. In addition to the fabric’s performance, the Husky’s shell has all the practical features of a garment dedicated to practicing motorsports: from lateral ventilation and inside powder skirt to adjustable tightening cuffs and the removable hem and hood. The jacket offers several, easily accessible inside and outside pockets. For added safety, a ring for an emergency switch is attached to the jacket’s hem. The Husky overalls will complete the outfit. The 60g Thermoshield liner, adjustable suspenders and Cordura reinforcements ensure comfort, good fit and durability. Husky overalls are also available in the Zero insulation line. Take full advantage of the Husky’s 3 in 1 adaptive system. Maximize the efficiency of your multi-layered clothing by adding CKX’s first layer Thermo underwear. Choose your favorite husky jacket here.